Click here to view finish images. Click here to view images of backing. A classic flowing scrollwork punctuates the beauty of the 25.5 inch wide Layton Vanity Base. Striking laser cut steel formed into a half round design supported by pretty forged iron legs. The Layton's timeless look will blend beautifully with styles from traditional to eclectic. Proper installation will provide a strong vanity base to hold many different types of countertops including marble or granite. Choose from one of seven handsome iron finishes paired with additional sheet metal back options. Made in America by master artisans. Backing Option: Available with or without a sheet metal backing. 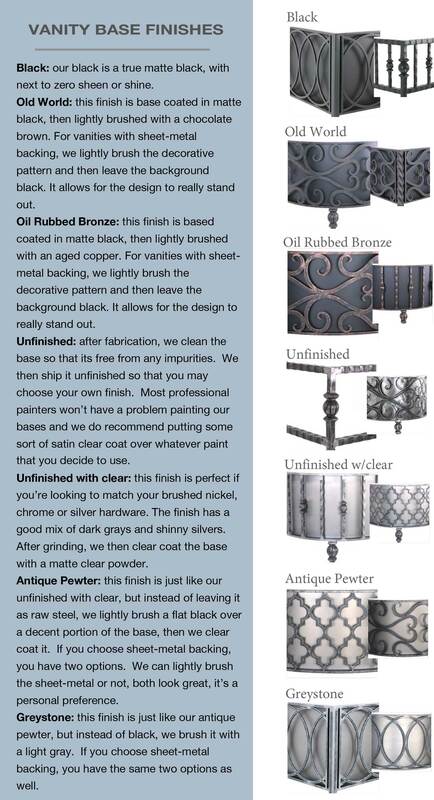 Sheet metal finish is Flat/Matte Black when Black, Old World, or Oil Rubbed Bronze is selected. For Greystone the sheet metal is natural with light brush strokes. For Antique Pewter the sheet metal is natural, resembling a stainless steel finish. 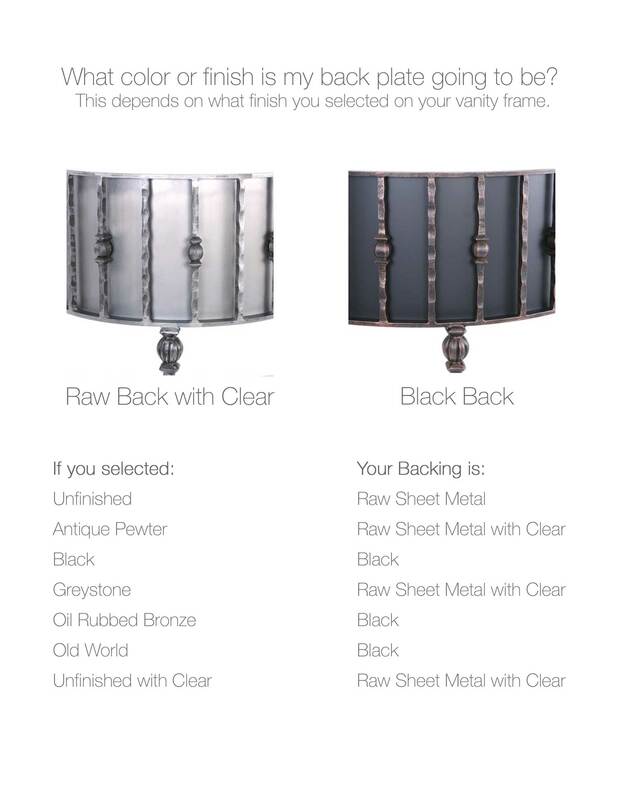 Raw/Unfinished is simply raw steel that is ready for your own paint. And Clear Coat is simply a raw steel with a protective clear coat applied. Installation Required: Yes, mounting to wall. Care: Wipe clean with a soft damp cloth and wipe dry. Use: In your master bathroom, half bath, powder room and much more.